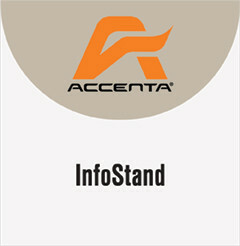 The InfoStand turns any QuickFrame into a stand-alone information area. 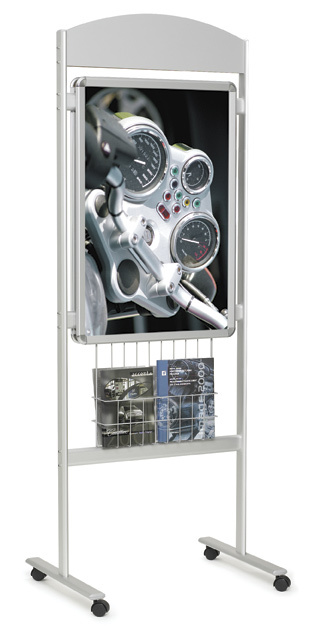 Display can be customized to present a graphic, create a bulletin, incorporate a whiteboard or a lightbox. The header shape and the brochure basket also come in a variety of customizable and brandable options.